If you make a post about a subject you can’t copy paste things. It is important to give the person who made a picture, article or something else credit. And how to protect you’re own things from stealing. 1. Ask the author if you may use his picture/article. This is a great way to get more contacts and it is a correct way. And maybe it gain some visitors. 2. 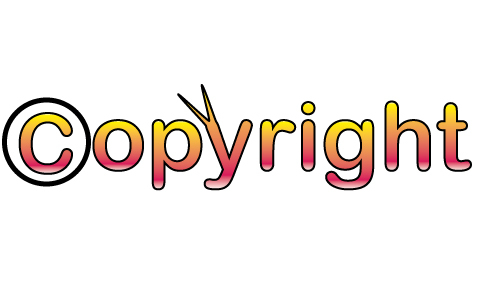 Make a copyright button. 3. Watermark the pictures with a logo of you’re blog. If people steal pictures you’re name is on it! This is a simple program to mark you’re pictures. You can quote people but do it right. Let the visitors know that it is a quote, color the part or “color the letters and use this quotes”. Write his name and link to his website. 5. What to do if someone steals you’re content. The first thing is to contact the plagiarist. See of you can contact with him via a email address on the website or check who.is and see who registered the domain name. Mostly there is an email address, so mail him! Doesn’t work? Check this site for more tips. « CSSType.com How it works! Nice information, I think people will benefit from this post. There can be no shadow of doubt that to make the web content and sites lucrative as well as precise for the readers perfect contents are very much needed in all the way. As per above guidelines and the course of actions every single figures are very much important to make this happens in any way. Therefore for proper and precise understandings each topic is necessary.